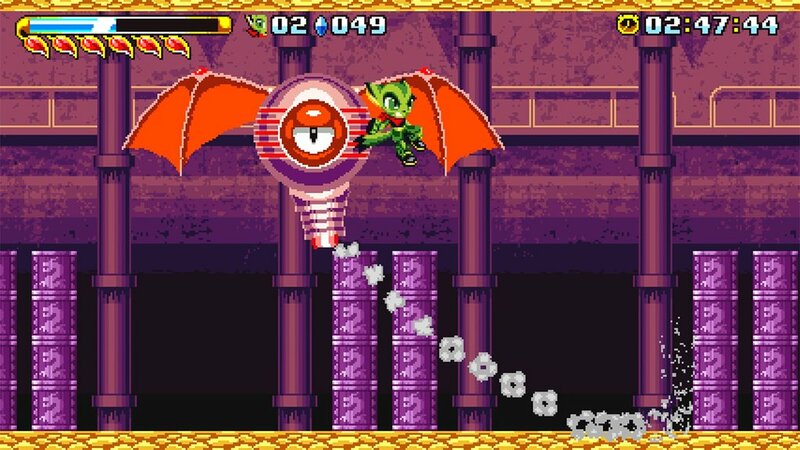 Back in August Marvelous Europe, in partnership with XSEED Games, released GalaxyTrail’s fast-paced sprite based platformer Freedom Planet onto the Nintendo Switch as a digital download and today both publishers have not only released a playable demo of Freedom Planet but the full game is also on sale for a limited time with a 35% discount. This playable demo, of which is completely free to download from the Nintendo eShop, will allow fans to play through the entire first level of the game – which contains both a mid boss and boss fight – in the games Time Attack Mode with either Lilac and Carol; two of three main characters within the game wich are working to protect their planet from being overthrown. In addition to this playable demo Freedom Planet, which is usually priced at £12.99 & $14.99, is available with a 35% discount until the 12th December 2018. Adventure or Classic – Immerse yourself in the story of Freedom Planet with over one hour’s worth of fully voiced cutscenes in the games ‘Adventure Mode’ or get straight into the platforming action with ‘Classic Mode’. Freedom Planet is available now as a digital download from the Nintendo eShop for the Nintendo Switch and is also available for the PlayStation 4, Windows PC and Nintendo Wii U as a digital download.